An izakaya can be defined as a Japanese tavern – a place to drink whilst ordering a variety of food dishes that are served in a share format. The Japanese word “izakaya”, is actually a combination of “i” (meaning to stay), and “sakaya” (meaning sake shop) – indicating that izakaya originated from sake shops that allowed customers to sit in the premises to drink! Not surprisingly, izakayas have now expanded their offering, well beyond the traditional, to include a whole range of drinks, both Japanese and international. 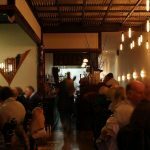 You’ll find the more traditional sake, shochu, umeshu and Japanese whisky, as well as Japanese and international beer, as well as an extensive wine list. At En Izakaya, where our Japanese kanji character translates to “drinking party”, we serve a wide range of drinks – Japanese, Australian and international. Think of En Izakaya as a complete modern izakaya experience, with all our drinks expertly selected to match our innovative shared plate dining experience. So, let me introduce you to the typical drinks range that you will find at En Izakaya. While we may think first of sake as the most popular Japanese drink, in spite of its foreign origin, beer is the most popular alcoholic drink in Japan, counting for almost two thirds of all alcohol consumed. Beer in Japan had its start in the 17th century, when Dutch traders stationed in Nagasaki opened a beer hall for sailors working the trade route between Japan and the Dutch Empire. As Japan reopened to foreign trade during the late 1800’s, imported beers were available in limited quantities in the foreign settlements, but trained brewers from Europe and elsewhere also arrived to contribute to the growth of the local industry. The Kirin Brewery Company began in Yokohama in late 1869 as the Spring Valley Brewery, the Sapporo Brewery was founded in 1876 as a part of a government-directed development plan for Hokkaido and Asahi Breweries was founded as the Osaka Beer Brewing Company in 1889, and the launch of the Asahi Beer brand in 1892. At En Izakaya, we offer some of these more mainstream Japanese beers, we well as some of the more innovative craft beers – a relatively new, but thriving development in Japanese brewing. One of our favourite Japanese craft brewers, is the Coedo Brewery located in Saitama, on the outskirts of Tokyo. Co-Edo can be translated as ‘little Tokyo’. 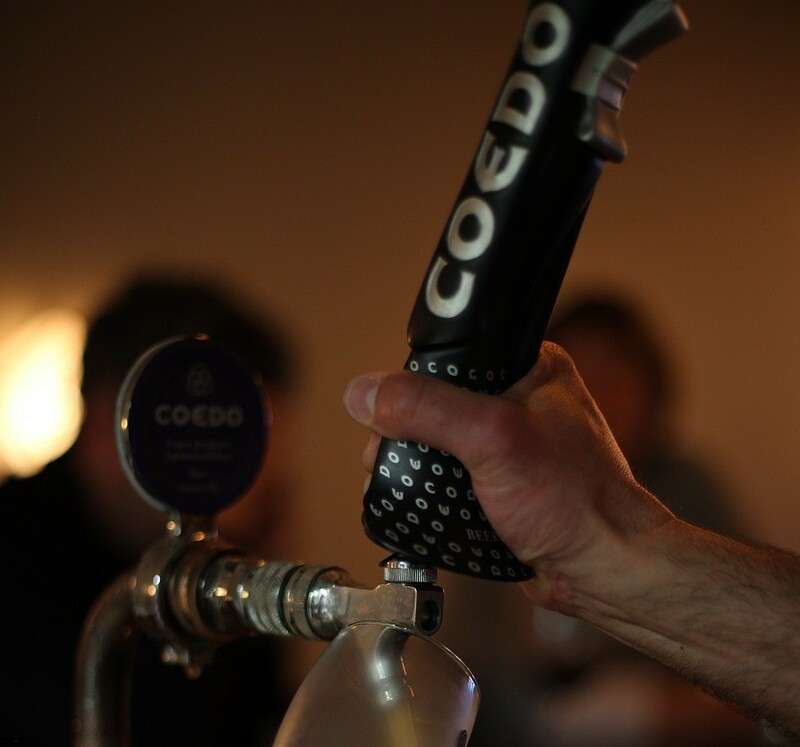 They brew 6 different craft beers and at En Izakaya, we have Coedo ‘Kyara’ available on tap. Kyara is a lager brewed with 6 different malts – with a slight citrus character. Coedo ‘Beniaka’ (sold in the bottle), is a darker & richer lager beer. Coedo uses sweet potato in the brewing process and the product has an alcohol content of 7%. There are several rice lagers available that have been brewed in Japan, but I have always found them to be lacking in aroma and flavour. However, ‘Kung-fu’ rice lager – made locally in Moorabbin by 2 Brothers Brewery, have crafted a very well balanced, clean & crisp beer. Light and not too weighty, smooth with subtle fruit nuances. Easy to drink and very tasty. Yebisu (a premium malt lager produced by Sapporo Brewery), Kirin ‘ichiban shibori’ lager, Asahi Dry Black lager, and Sapporo lager are some of the other refreshing and alternative beers on En Izakaya’s list. I could discuss the subtleties of Japanese rice wine forever (more to come later), but very briefly, nihonshu (as it is known in Japan – referred to as sake in Australia), is an alcoholic beverage produced using rice and water, then fermented. There are five main types of sake, Junmai-shu, Honjozo-shu, Ginjo-shu, Daiginjo-shu, and Namazake. The rice used in production is variably milled to a certain percentage, creating different tastes. 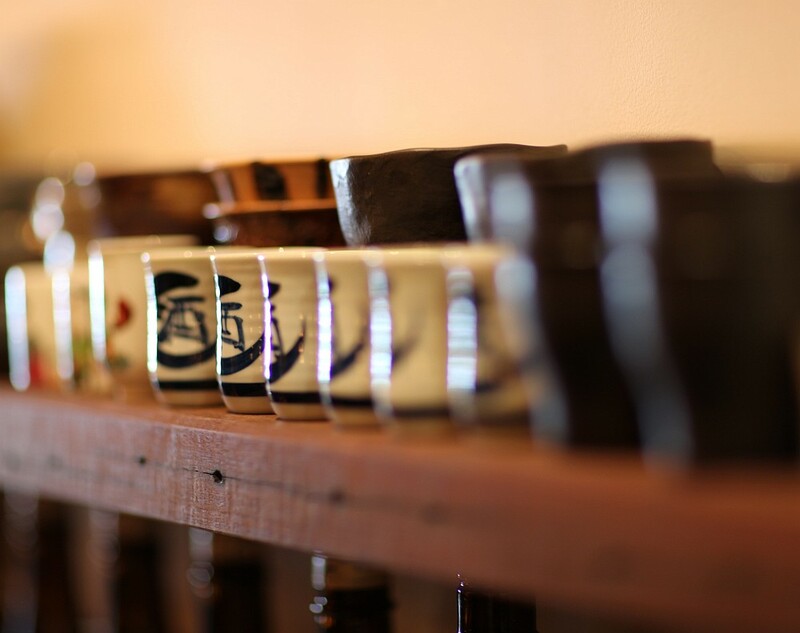 En Izakaya has a range of sake available to be consumed warm or cold and we also offer a variety of different serving sizes and styles – from a 200m ‘tokuri’ (porcelain sake serving vessel), 300ml bottles, to a larger 720ml format. ‘Dassai’ is produced by Asahi Shuzo Sake Brewery in Yamaguchi prefecture – southern tip of Honshu island. Classified as a Junmai Daiginjo sake where the rice has been milled 50%, Dassai has medium weight with fruity traits. To be enjoyed cold. Shirataki Sake Brewery in Niigata prefecture produces ‘Jozen’ – a Junmai Ginjo that is medium dry and has been aged for 2 years in stainless steel tanks. The Niigata region is revered for its high quality rice, and as a result, sake production is very famous here. To be consumed cold. Ranman Sake Brewery in Akita prefecture (north Honshu island) produce ‘Tokusen’ – a Ginjo sake that can be drunk cold or at room temperature. A fruitier sake with terrific length and balance. Ranman is a family owned and operated sake brewery. Shochu is a distilled spirit that is hugely popular in Japan. Containing roughly 25% alcohol volume, shochu is usually distilled using either, sweet potato, barley, brown sugar, buckwheat or rice. More popular than sake (mainly due to its price point), shochu can be enjoyed neat, or with the addition of ice, hot water, Japanese tea, juice, or soda. Kaido sweet potato shochu – produced by Hamada Shuzo in Kagoshima Prefecture (southern point of Kyushu Island). Rich, smooth & clean with a slightly sweet flavour. Tantakatan – a shiso infused shochu produced by Godo Shusei in Asahikawa, Hokkaido (most northern of the 4 main Japanese islands). Shiso is an aromatic leaf that is very commonly used in Japanese cookery. Tantakatan has subtle sweet aromas and flavours – a simpler, easy drinking styled shochu. Japanese whisky has grown in popularity in recent years. Meticulous production methods have assisted the Japanese whisky industry to become world renowned. Hibiki 17 year old – Japan’s most highly awarded blended whisky, Hibiki exudes notes of peach, apricot, toffee and vanilla with a fruity lychee aftertaste. Yamazaki 12 year old – the number 1 single malt whisky in Japan. Yamazaki 12 Year old has aromas of peach, grapefruit & clove. A long finish of sweet cinnamon & sweet ginger. Produced at the Suntory Yamazaki Distillery in Osaka Prefecture (Honshu island). Hakushu 12 year old – produced at the Suntory Hakushu Distillery in Yamanashi Prefecture (Honshu island), this single malt contains notes of basil, green apple and mint with a green tea & subtle smoke finish. Umeshu or plum wine, is Japanese unripened green plums (ume) steeped in shochu distilled spirit, and sugar. Umeshu has a sweeter taste and usually a lower alcohol content of around 12%. Umeshu is commonly served on ice or with a mixer (soda or tonic). It is not only a perfect aperitif for a Japanese meal, but great to drink by itself or with food. Umenoyado ‘Oubai’ umeshu – made by Umenoyado in Nara prefecture (Honshu island – near Osaka), Oubai has a lovely textural mouth feel with sweetness, subtle sourness, and underlying notes of marzipan. Seifuku Awamori umeshu – produced in Okinawa, a cluster of Japanese islands south of Kyushu, Seifuku use awamori instead of shochu for production. Awamori is native to Okinawa and uses long grain rice in their distillation process. Textural with sweetness and body, the awamori component for this drink gives a more upfront lifted feel. Not only is this our favourite, we’re also the sole stockist of this product in Australia. 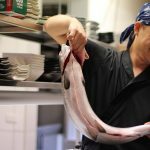 At En Izakaya, we pride ourselves on creating exciting and innovative dishes, and equally important, is our ability to match these dishes with a balanced variety of both local and international wine, that also offer something special. Our philosophy in assembling our wine list, is not to try and offer an encyclopaedic offering, but rather, to offer the most varietally correct, reasonably priced, and (of course), the most delicious! 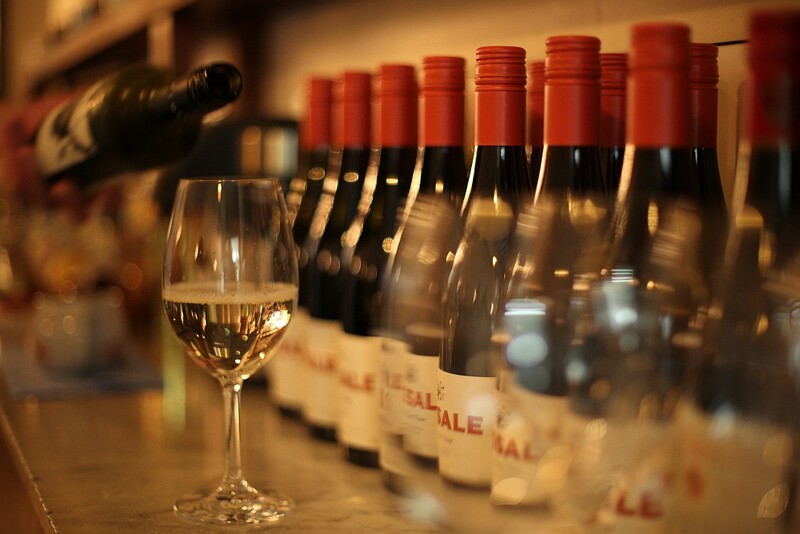 Our wine list includes wines by the glass, and many more by the bottle and also features a weekly wine special. Wines that attract more attention upon their release, or due to the changing of season in Melbourne (ie. Beaujolais, Rosé), make appearances. Beyond the beer, traditional Japanese beverages and wines, naturally we also have a full dispense bar with all sorts of tasty beverages available as well. For a full drinks list, please click here, or better still, come along to En and enjoy our hospitality! What is a Japanese Izakaya? En – TV : “Hanami” is welcoming spring through Japan’s traditional cherry blossom festival.